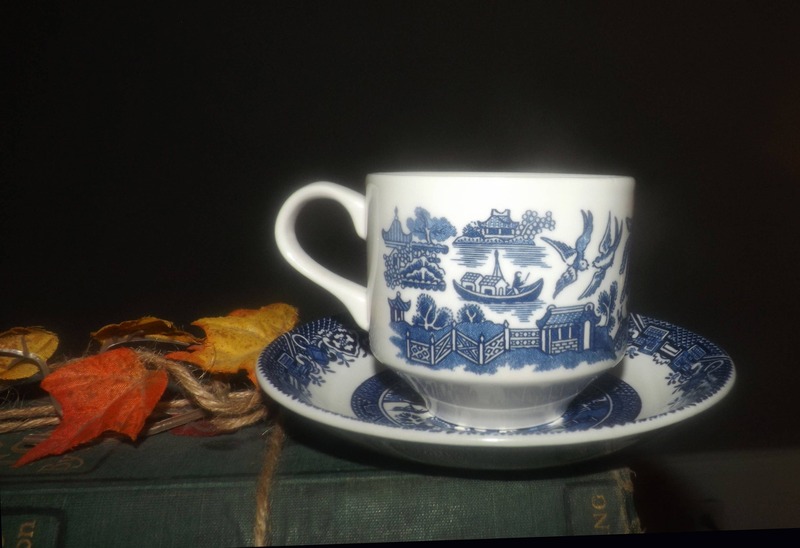 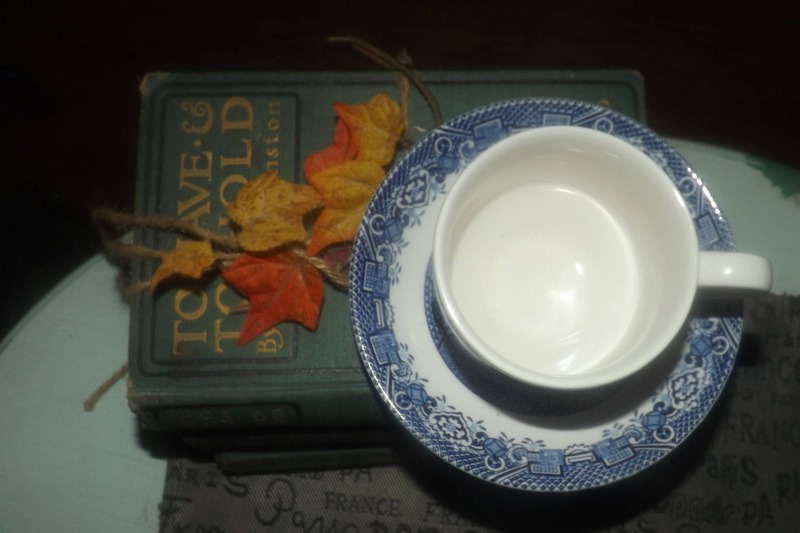 Vintage (1960s) Wood & Sons Blue Willow tea set (footed cup with matching saucer). 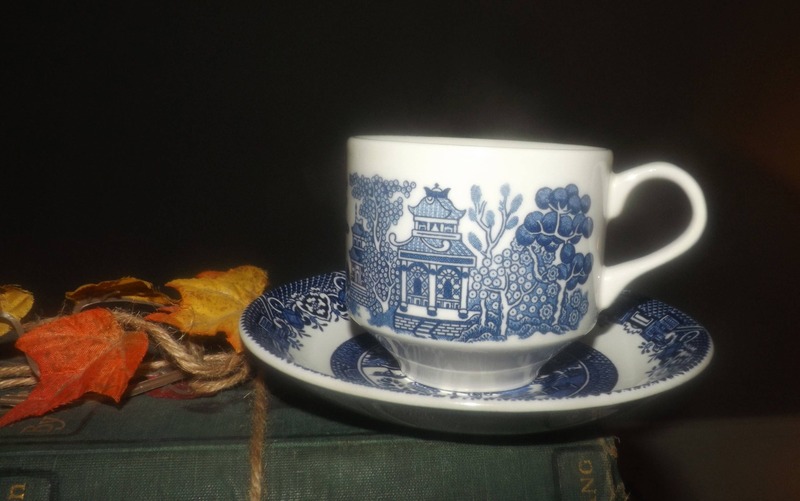 Classic blue-and-white Chinoiserie | Oriental motif. 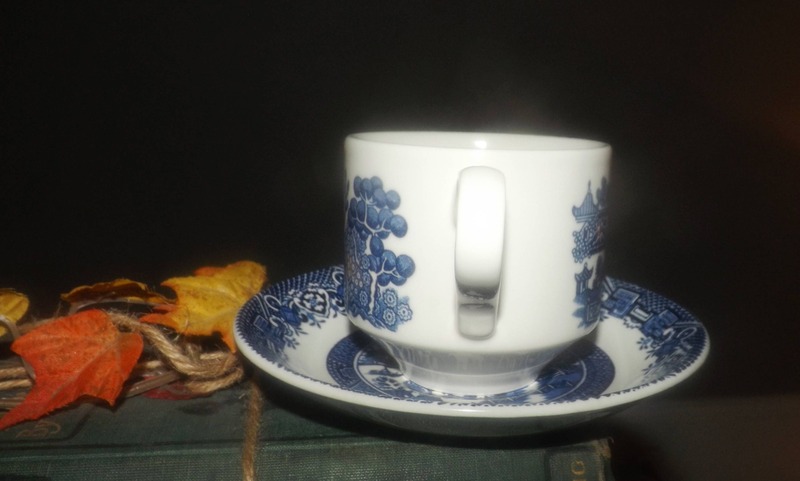 Vintage (1960s) Wood & Sons Blue Willow tea set (footed cup with matching saucer). 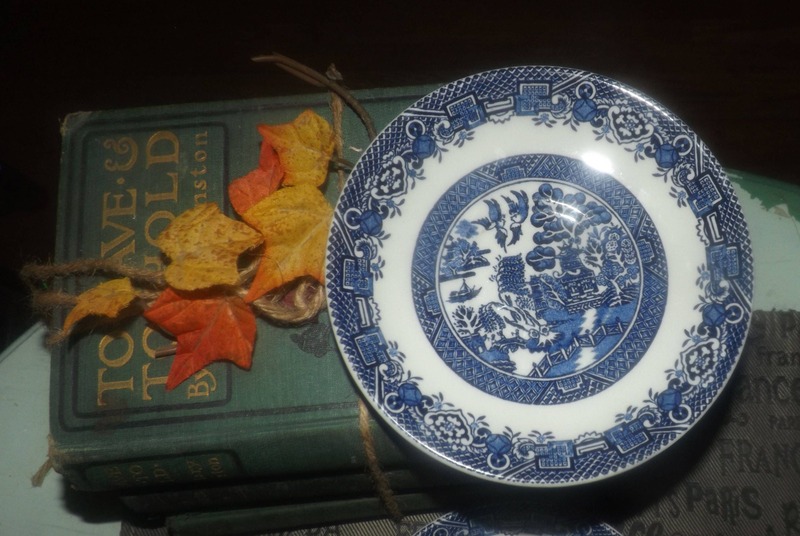 Part of the Wood's Ware line, Blue Willow is a classic blue-and-white Chinoiserie motif featuring birds and trees within an Oriental landscape. 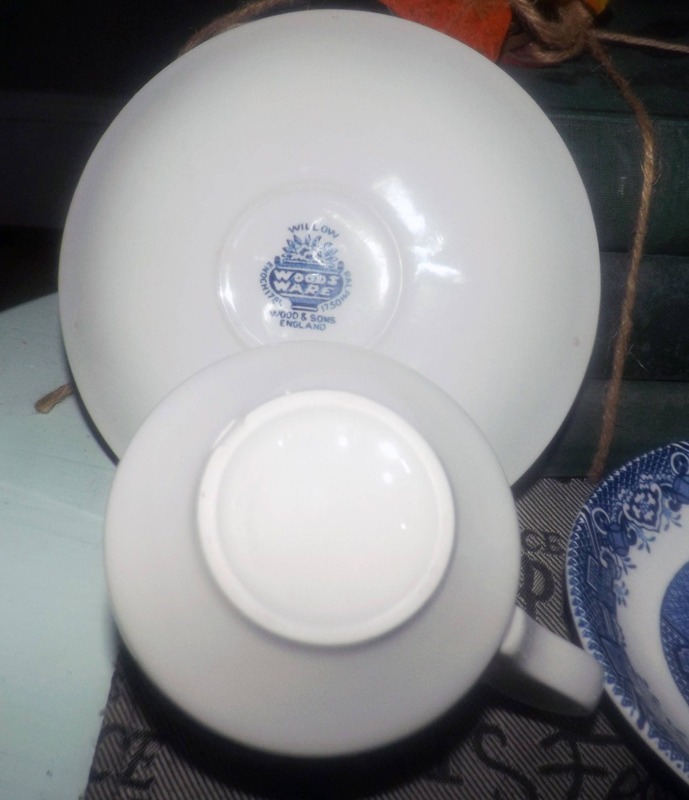 Approximate measurements: footed cup stands 4-1/2" with a 4" diameter bowl | matching saucer is 7" in diameter.